Hair products are always something I struggle with. I never know if I need to buy the most expensive products or if the drugstore brands at reasonable prices are acceptable to use. As a result I seem to have a mixture of the two. Aside from shampoos and conditioners bought from salons, I don’t really have anything else. This is simply because there are so many options. How do you choose? Enter BlogHer and Dove. 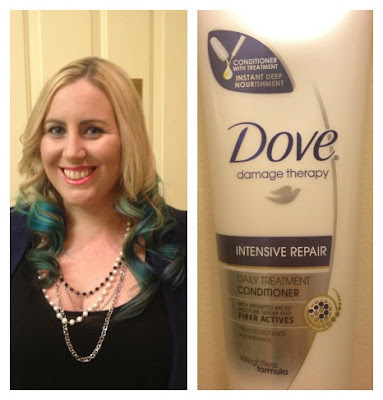 I was contacted to review Dove’s Intensive Repair Conditioner. This is perfect – I’d never used Dove conditioner and I legitimately am overwhelmed any time I try to go to the store to buy hair care. The first thing I noticed upon using the conditioner is that it smells great. It’s a clean, fresh and not overpowering. Next, I was pleased with the fact that it made my hair nice and smooth. I HATE having to brush my hair after wetting it because it gets really knotted (probably from all of the hair dye). Not the case anymore with this conditioner! I was able to comb through my long hair without suffering from knots getting tangled and pulled out by my brush. That alone makes me a return customer. But wait, it gets better. The conditioner makes my hair so soft. Each time I use it I literally catch myself touching my hair for hours after. You know how your hair feels amazing after leaving the salon and you can’t help but “pet” it? That’s the feeling that I get from Dove’s Intensive Repair Conditioner. I literally have zero complaints about this product. No joke. I know, the part you were dreading, the price of such a wonderful conditioner. Well a bottle is going to set you back…wait for it…$5 (at Target). Wait, what? Yup, 5 dolla! Sold. Sign me up. So why the heck have I been buying salon products for all of these years? Because I’m a sucker. This is proof that you don’t always have to pay a small fortune for a great product. Next time I go to the store I’m stocking up on more Intensive Repair Conditioner. I’m also excited to try one of their shampoos out. I'm also excited about the following giveaway sponsored by BlogHer. 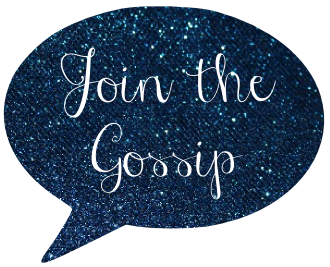 a) Follow this link, and provide your email address and your response to this Promotion prompt: What beauty product did you recently try that you were pleasantly surprised with? Disclaimer: Although I was given Dove’s Intensive Repair Conditioner for free my thoughts are 100% my own. I do love Dove hair products, great review! I love Dove products. The only time I buy salon shampoos and conditioners is right after I've had my hair colored. But for every day use I just pick one. I rarely buy the same product twice unless I absolutely love something. Pretty hair! Dove smells so good! !